Apple today has seen fit to seed the fifth beta of its forthcoming iOS 9.3.3, OS X 10.11.6 and tvOS 9.2.2 to developers and public beta testers. The beta update is seeded one week after the forth beta of the aforementioned firmware updates. Let’s see what the fifth beta for iOS 9.3.3, OS X 10.11.6 and tvOS 9.2.2 has in store for users. In terms of iOS 9.3.3 beta five, there wont be any forward facing features to interest users directly. However, there are enhancements made in terms of bug fixes and performance. The update contains security enhancements as well that caters to any issues discovered since the release of iOS 9.3.2. If you’re interested to try it out yourself, you can download it through the Apple Developer Center or over-the-air. However, make sure that you have the proper configuration profile installed on your device. In the OS X El Capitan 10.11.6 beta five update, Apple did not include any obvious outward-facing features. Instead, the update is plainly focused on minor bug fixes and performance enhancements. As per the release notes of the beta five, it improves compatibility, stability and security of Macs. If you’re considering to try the new beta out yourself, you can get it through the Apple Developer Center or the Software Update mechanism in the Mac App Store. 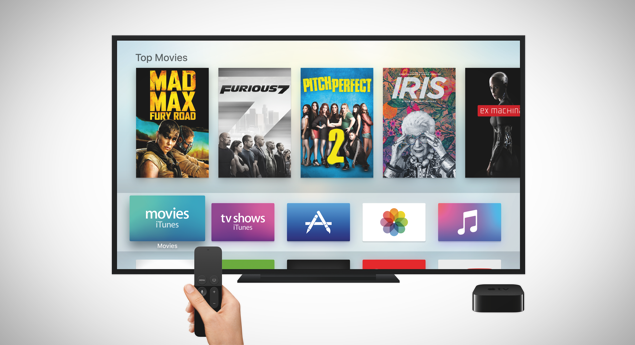 If you happen to own a fourth generation Apple TV, the company has also released the fifth beta of tvOS 9.2.2. tvOS like iOS 9.3.3 and OS X 10.11.6, does not feature any major features. Instead the company has seen fit to focus on bug fixes and performance enhancements. So any immediately apparent features are not part of the beta update. Apple’s release notes for the beta update suggests that the tvOS 9.2.2 includes security improvements and bug fixes. If you’re willing to install the fifth beta of tvOS 9.2.2, you might as well know that it’s a little complicated compared to iOS and OS X. Firstly, you have to have your tvOS connected to a computer using a USB-C to USB-A cable, with the software installed and downloaded via iTunes or Apple Configurator. Once the beta profile is installed, tvOS 9.2.2 beta five will be installed automatically over-the-air. Apple’s beta five for iOS 9.3.3, OS X 10.11.6 and tvOS 9.2.2 does not feature any major features. However, we will surely let you guys know if any front facing aspect or feature is discovered. This is it for ow, folks. Have you installed the beta five of iOS 9.3.3, OS X 10.11.6 and tvOS 9.2.2? Share your thoughts in the comments.